MB Communication deals in all kind of new mobiles at whole and retail rates. 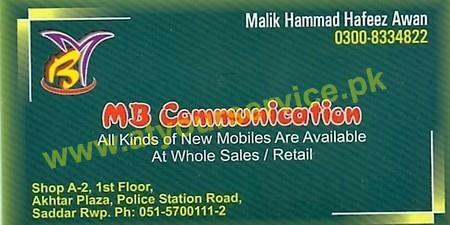 MB Communication is located in Akhtar Plaza, Police Station Road, Saddar, Rawalpindi. It deals in all kind of new mobiles at whole and retail rates.